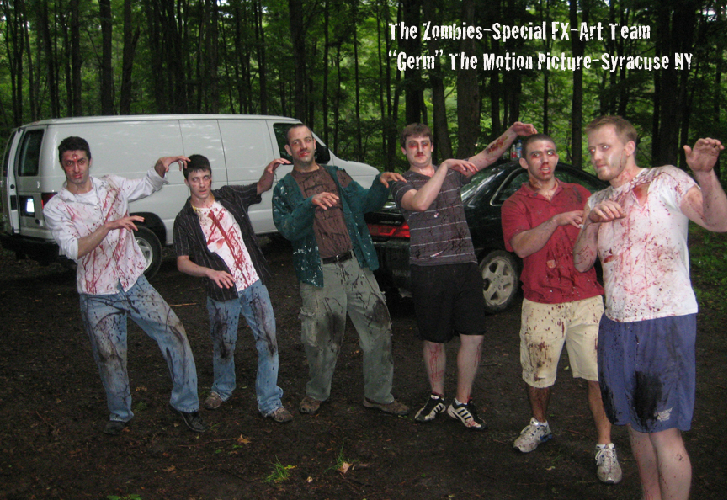 Motion Picture Title: Germ-Creating Blood Splatter FX- (2009) –(Assistant Art Director-Bryan Matthew Boutwell –Responsible for Special FX, Make-up, Set Design, Props. -Acting Roll-zombie. 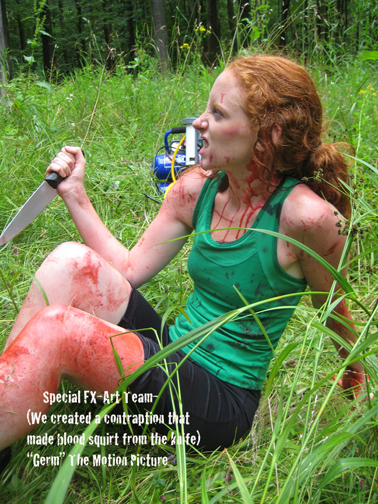 Film Location=Syracuse NY) This photo is of the main actress of the movie (Marguerite Anne) In this shot we hooked a generator to a tube and ran it up her arm and onto the back of the knife. We hid it in the shot so you couldn’t see it, and when the time was right we pumped the blood through the tube so that it squirted out when she was stabbing the zombie. 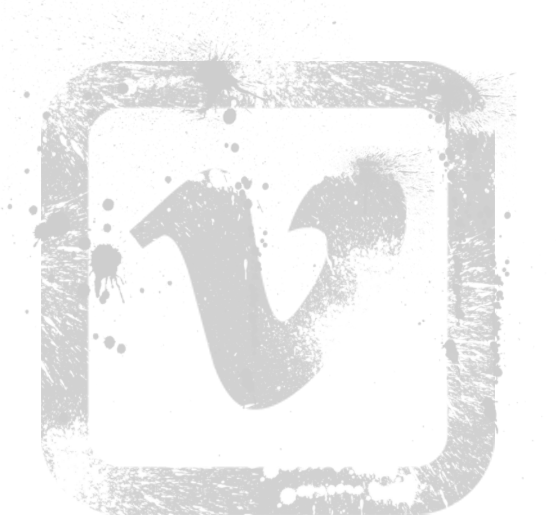 This Special FX prop took a great deal of time to perfect, but when we did it came out amazing. 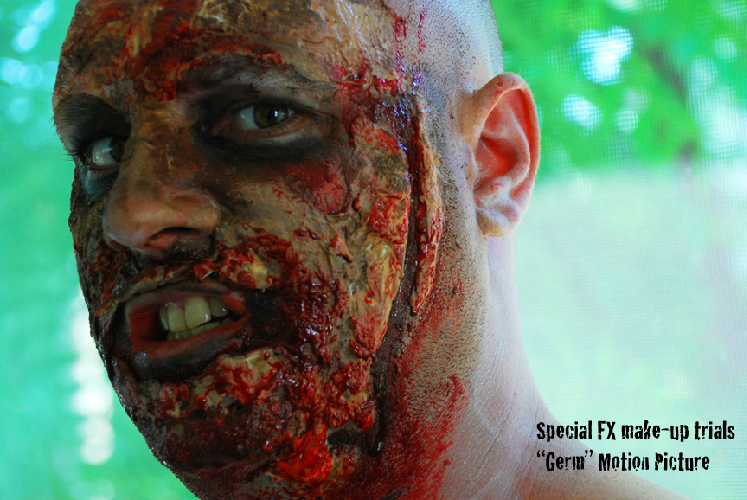 Motion Picture Title: Germ -Preliminary Make-Up Trials For Horror Movie- (2009) –(Assistant Art Director-Bryan Matthew Boutwell –Responsible for Special FX, Make-up, Set Design, Props. -Acting Roll-zombie. 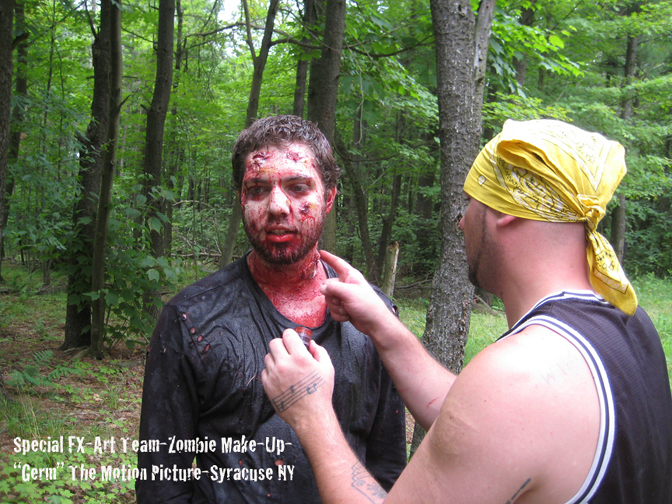 Film Location=Syracuse NY) In this photo we are testing out the make-up, blood, and Special FX that we made prior to shooting the movie. For 2 weeks before the movie began shooting we had to perfect our technique and ingredients in order to know that they would work properly. 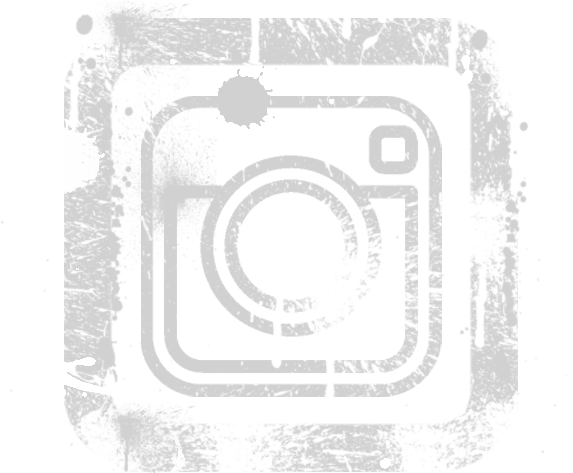 It took us quite a bit of experimenting before we found the perfect dark and rich color of red for the blood. In this photo the color was still to pinkish. We nailed down the right mixtures in those weeks though and were ready when the movie began. My favorite part about the Art trials was the neighbors reactions to us when walking bye . They had no clue that we were doing a movie, so they only saw images like this one! It was hilarious to see their faces as they walked past our set. Motion Picture Title: Germ-Making a Mold of My Head for Special FX in Horror Movie-(2009) –(Assistant Art Director-Bryan Matthew Boutwell –Responsible for Special FX, Make-up, Set Design, Props. -Acting Roll-zombie. 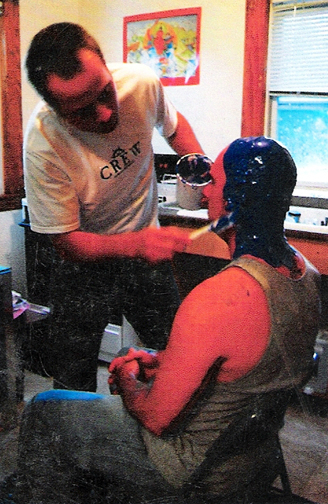 Film Location=Syracuse NY) This photo was of me getting my head made into a mold for the movie. We needed to make a scene that had an exploding head in it. This photo was taken 2 weeks before the movie began. We had to come up with the correct Special FX for the movie so we were conducting our trials. I was actually kind of scared in this shot because we hadn’t done it before. I was afraid that we weren’t applying the mixture correctly and that it wouldn’t come off when dried! Luckily it all worked out and I was fine. Regardless, it was a scary moment. Motion Picture Title: Germ-Director of Photography with the Grips- (2009) –(Assistant Art Director-Bryan Matthew Boutwell –Responsible for Special FX, Make-up, Set Design, Props. -Acting Roll-zombie. 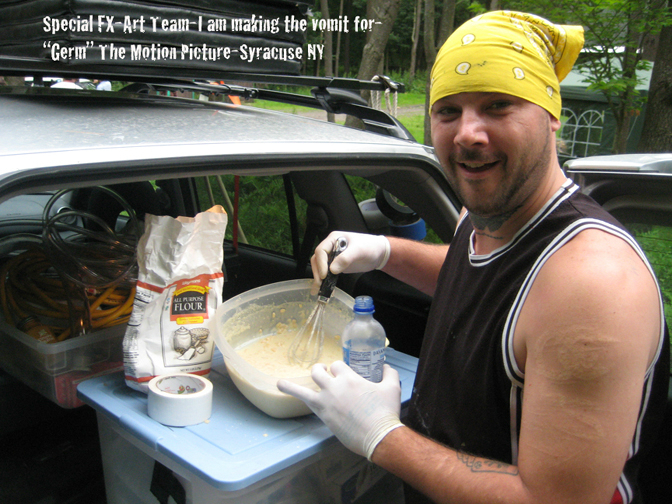 Film Location=Syracuse NY) This photo was of the Director of Photography (Gus Van Sant and the grips) We needed to help push the cart over the tracks in through the woods while getting the shots we needed. It was tedious laying the tracks through the woods at just the right angle in order to get a smooth transitioned shot. I had to constantly be propping up the grass with my hands and Aqua Net hair spray between takes so that the shot didn’t look as if the grass had been trampled over and over again. Motion Picture Title: Germ-Making Vomit FX’s For Horror Movie-(2009) –(Assistant Art Director-Bryan Matthew Boutwell –Responsible for Special FX, Make-up, Set Design, Props. -Acting Roll-zombie. Film Location=Syracuse NY) In this photo I am making the vomit for one of the scenes in the movie. I won’t give away our secret ingredients, but Lorna Doone cookies were a major and effective part of the equation. It was 95 degrees that day of filming and we were constantly making up new batches of the vomit on the spot. Motion Picture Title: Germ-Girl Scout Actors In Horror Movie- (2009) –(Assistant Art Director-Bryan Matthew Boutwell –Responsible for Special FX, Make-up, Set Design, Props. -Acting Roll-zombie. Film Location=Syracuse NY) This photo was taken of the little girls who acted in the film. 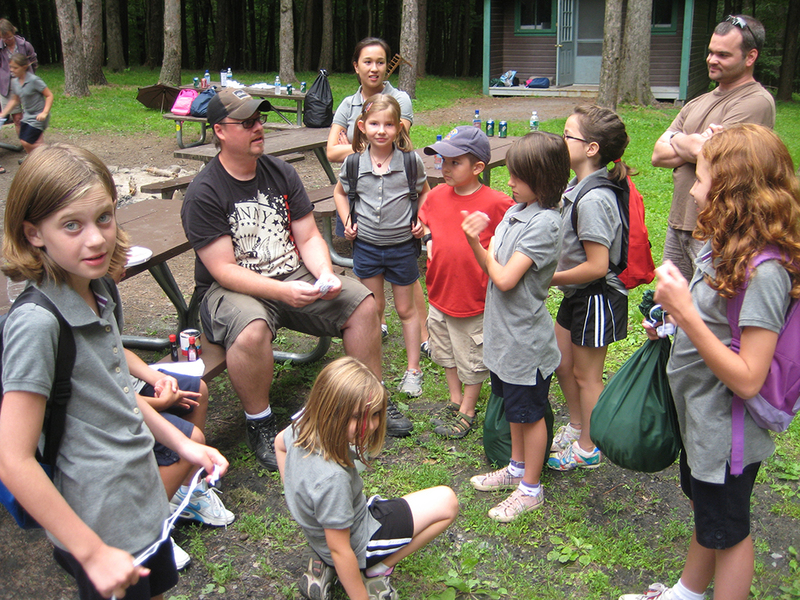 They were dressed as girl scouts and were eventually murdered by the zombies. They were a great group of girls! They were so young and yet so professional. They were on set for hours at a time and never complained once. At first we thought that they would be terrified when we had to have them being chased by scary zombies and murdered, but they had a blast! They loved being part of the movie.